Welcome to The Vintage Ride. I restore and sell vintage cars and motorcycles. The Isetta was shipped to IsettasRus in Woodstock, Georgia in August 2018 to have some maintenance performed. The drivetrain was serviced, as were the brakes. The Isetta will be sold “as is”. It will make a great full restoration project car, if that’s what you’re looking for…or you can simply enjoy it as I did and restore it a little at a time as time and money permit. The asking price is $20,000. If you’re interested, please contact me at the link shown on the home page of the site. This bike was purchased in Florida. It had matching numbers, the engine ran and except for a few pieces, everything was there and original. However, after 50+ years, it obviously needed a total restoration. I began disassembling the bike in June 2015 and it was completed 18 months later. My R26 was profiled in the 2017 Summer issue of The Classic BMW Motorrader Magazine. The R26 has been sold. 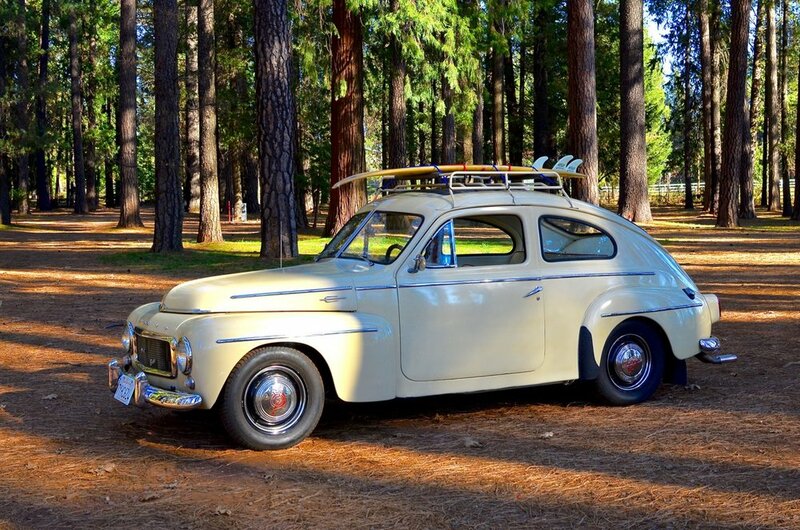 The PV-444 was Volvo's first entry into the US market and it was a good one. I have replaced the floor pans, shocks, engine mounts, transmission mount, clutch lever and bushings, added front and rear stabilizer bars from IPD, a custom Interior, both carbs and the distributor were rebuilt in July 2017. New coil springs front and rear and a new radiator were recently installed. The Volvo has been sold. The BMW Isetta 300. One of the first "Micro Cars" produced, the Isetta 300 built by BMW was produced under a license from Isso of Italy. The BMW version (which is different in many ways from the original version) uses a slightly modified version of the 250cc engine they used in the R-26 and R-27 motorcycles. Update - April 2019. The Isetta is currently undergoing some maintenance at IsettasRus in Woodstock, GA and it will be listed for sale when that work is completed. I will update the website on the progress. The asking price is $20,000. Please feel free to contact me through the website link if you have any questions or would like to make an offer.